Discover the tech-savvy Kia Sportage with a lift gate that automatically opens upon sensing the key. This handy feature is modeled by two Mini Bernedoodle brothers, Bodhi & Rocket out of another breeding program, sired by our stud, Ruger. Tomorrow's SUV for today's family is the Buick Enclave which can fit up to seven people - or Doodles! Featuring Mini Bernedoodle Bodhi, sired by our Stud, Ruger. 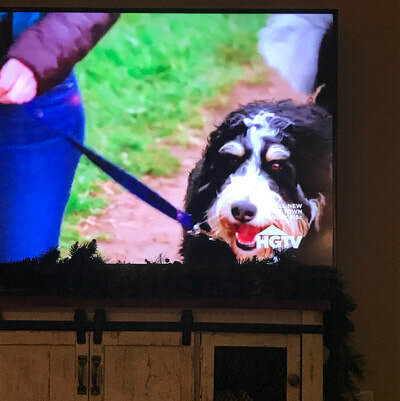 Maggie the Bernedoodle is being featured in an episode of HGTV's Log Cabin Living! Catch a glimpse of her in Season 5, Episode 5 - Vail Valley Cabin Hunt where Maggie's parents seek out their first home together. Must-haves include a yard for the dogs! 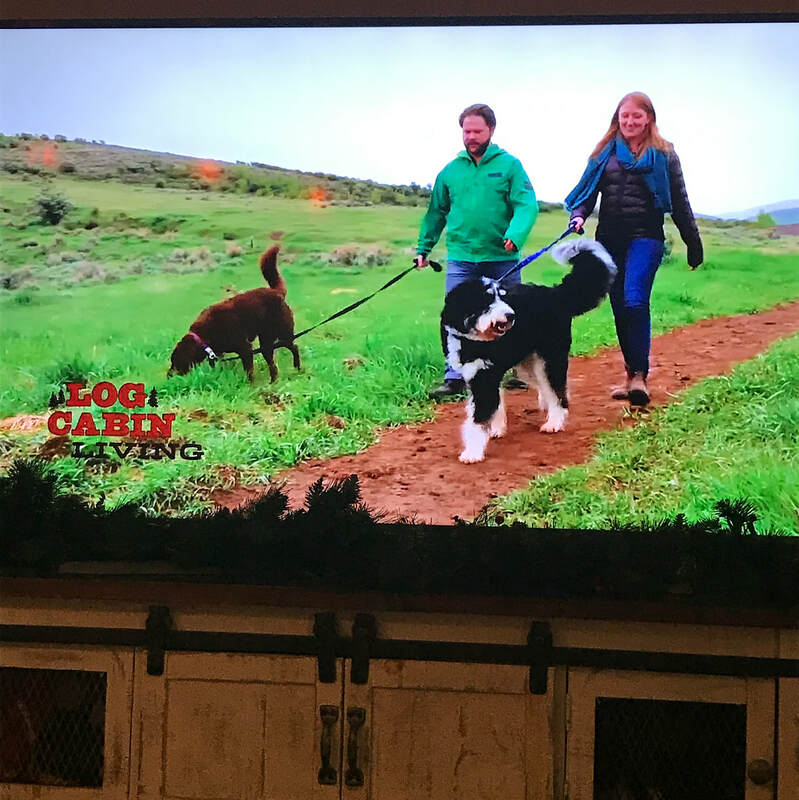 Follow this family as they find their perfect log cabin retreat. 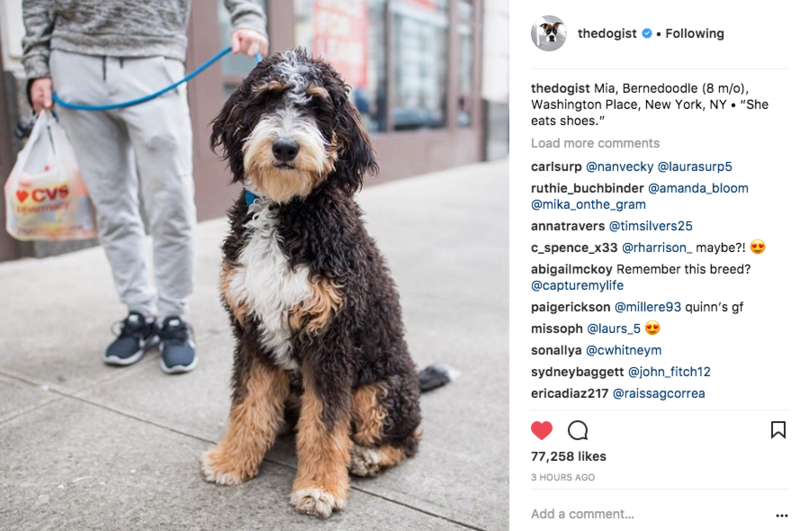 A photo-documentary Instagram series about the beauty of dogs could not resist snapping a photo of NYC cutie, Mia (formerly Dany, Standard Bernedoodle from Lexi x Hudson). Mia is a turnkey puppy. Check out NYT Bestseller, THE DOGIST, and just released, PUPPIES, available now! Can't wait to see if Mia makes the next series. 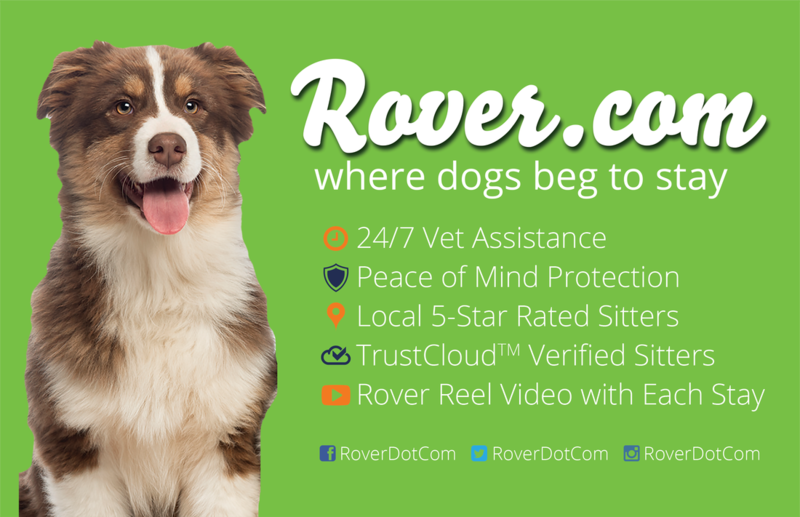 Rover.com is a great forum to connect pet owners with local dog sitters. Services range from daily walks to overnight in-home caregiving. Similar to Care.com, but focused solely on pet care. Tammie is honored to be interviewed as an expert on Beredoodles and hybrid dogs. Check out this great article titled, "The Truth About Dog Breeding" by Jacqueline Bennet. One of the original manuals on Bernedoodles, Rocky Mountain Bernedoodles is listed as a choice breeder right under Swiss Ridge Bernedoodles, the creator of the breed! 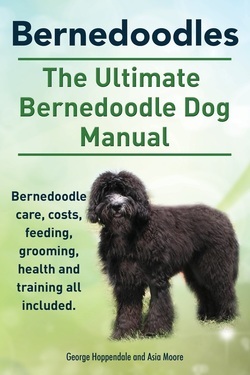 This is a great book and offers valuable guidance on owning a Bernedoodle as well as a history of the breed. Order your copy from Amazon today! Recent Philadelphia Inquirer article titled, "Why your pet should have its own social media account" by, Terri Akman, features Nellie from Rocky Mountain Bernedoodles. Behind the scenes is mom, Jill Bergman, who quips, "it gave us a chance to brag about her without being too obnoxious to people who didn't want to follow her on our account." 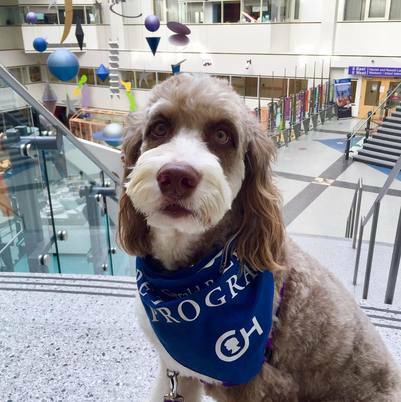 Bragging rights are well-earned, as Nellie is a Certified Therapy Dog and supports children with autism, as well as cardiac care patients and families. Newsworthy Nellie can be followed on Instagram @nellie_the_bernedoodle. 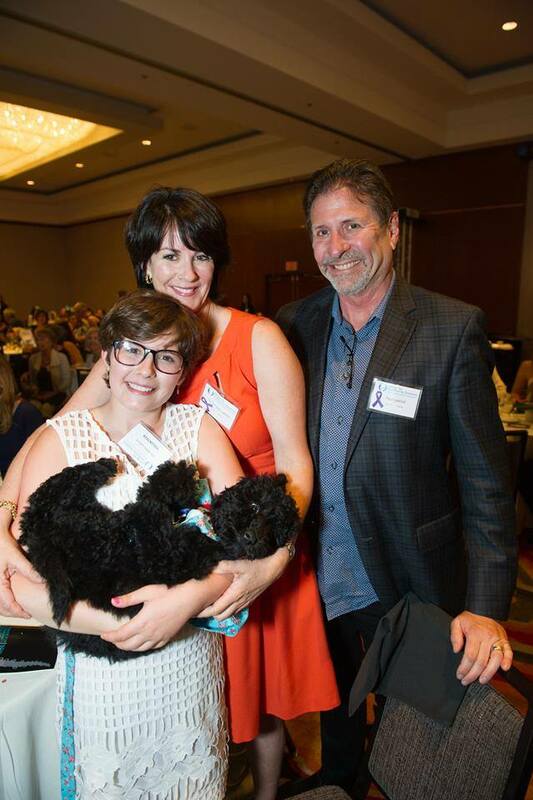 ​You will enjoy the story of how we got her.. We attended an annual event called Tea and Tonic, a wonderful fund raiser for the Center for Community Solutions, our vital local organization that battles sexual violence in all forms.. Led by a dear friend of ours, CCS helps an amazing 10,000 people each year. One of the live (literally) auction items was Pepper. My 11 year old daughter, Elle, Had volunteered to spend the afternoon chaperoning Pepper and introducing her to potential bidders. Of course, she fell in love with Pepper..
Spicing up life with Pepper! 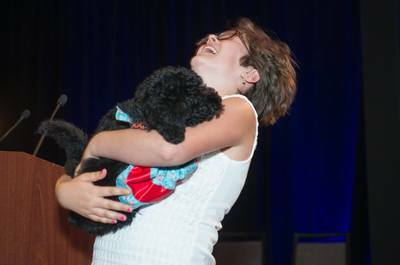 Rocky Mountain Bernedoodles is helping to spice up a fundraising event for the Center for Community Solutions by donating Double Doodle, Pepper. A worthy organization, CCS helps to heal and prevent relationship and sexual violence. 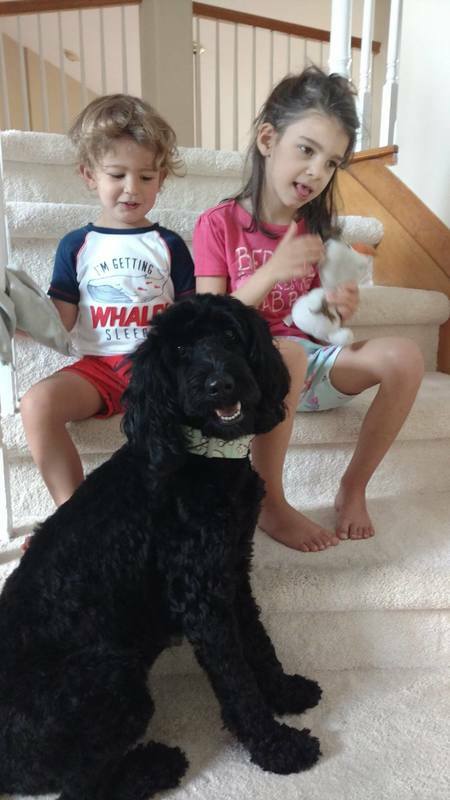 Pepper is a combination of Goldendoodle and Labradoodle, from Grace and Boss. She will make an excellent addition to a lucky family! All proceeds with go towards supporting prevention and intervention programs focused on ending violence and sexual assault. 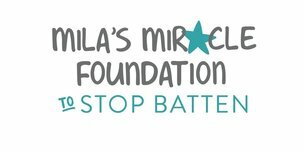 ​Batton Disease is a devastating neurodegenerative disease which severely impairs children. There is currently no cure and no clinical trials. This family's mission is to raise money to fund research to find a cure for Batten Disease. For more information, please visit stopbatten.org. 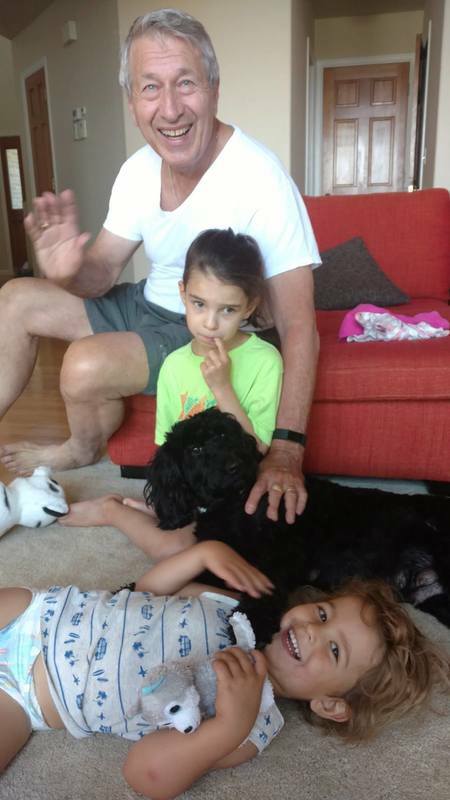 As a small gesture, we are donating Australian Labradoodle, Grace, as a companion animal to Mila and her family. Grace is very special, she is fully trained by our partners at We Nose Paws, and will make an excellent service dog.